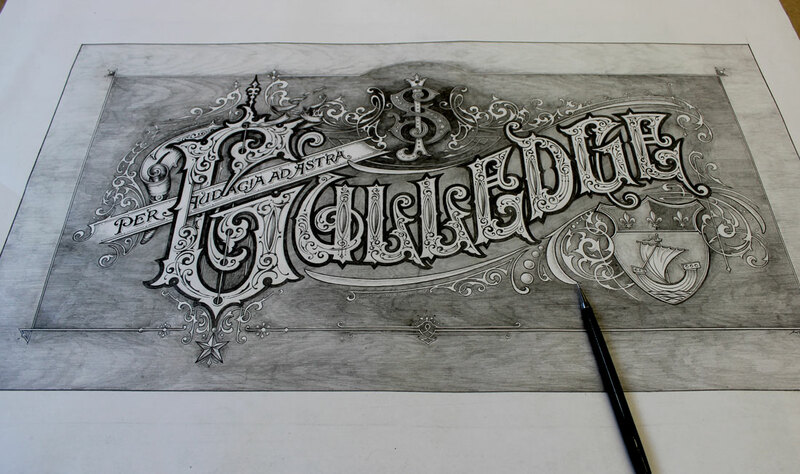 This pencil sketch was designed for Jason and Stacey Gulledge from Paris, France. They commissioned this artwork in 2014 for their new home. The elements in the artwork are symbolic of their lives such as the Star of Texas for Staceys home state, a fleur de lis, which is representative of Louisiana for Jason, and a boat as in the coat of arms from the shield for the City of Paris, France where they live now. The sketched design will now be made into a reverse gilded glass sign. 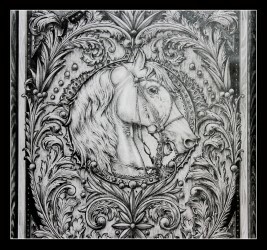 The techniques consist of traditional brilliant cutting and deep embossing of acid mica etching. The letters will be gilded and silvered in loose gold leaf. They are lovely people to work for and are passionate about this craft.